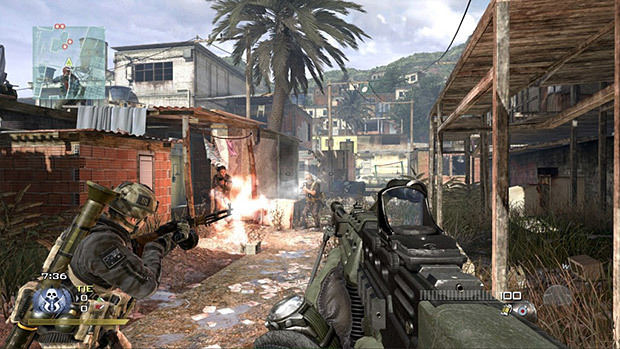 Last week, Infinity Ward announced that a cure for Modern Warfare 2 "mapathy" would be coming to Xbox Live on March 30th. Infinity Ward's Robert Bowling guested on the most recent episode of Xbox Live's Major Nelson Radio to provide details of the "Stimulus Package" map pack, and they confirm the leak from a few weeks ago. But don't get excited just yet. Activision and Infinity Ward have the audacity to charge 1200 Microsoft Points -- i.e., $15 -- for the map pack. This is outrageous enough when you consider that they priced the Call of Duty 4: Modern Warfare "Variety Map Pack" at $10 for four maps. But when you realize that you're paying 50% more and you're getting one fewer new map, well, then it becomes somewhat infuriating, if you ask me. I'm sure Activision and Infinity Ward are charging this much because they know that people will pay it, if reluctantly. Let's do the math that they likely did: the MW2 user base consists of more than 25 million players, so even if only 20% of them buy the Stimulus Package, that's still $75 million of revenue. I certainly won't be forking over the 15 bucks for these maps when they come to the PlayStation Network at the end of April. Will you?